It was a cold, rainy, and blustery day on the golf links. I tried to steady myself as I bent down to expertly form my tee out of a small pile of wet sand. I placed my gutty on the tee and extracted my brassie from its well-worn leather bag. I then proceeded to thrash my tee shot dead right into the Firth of Forth (or is it Forth of Firth) or better yet, was it just a moment of time travel and my ball was just resting at the bottom of Lake Ontario? It’s easy to step back in time to another era at the Niagara-on-the-Lake Golf Club. 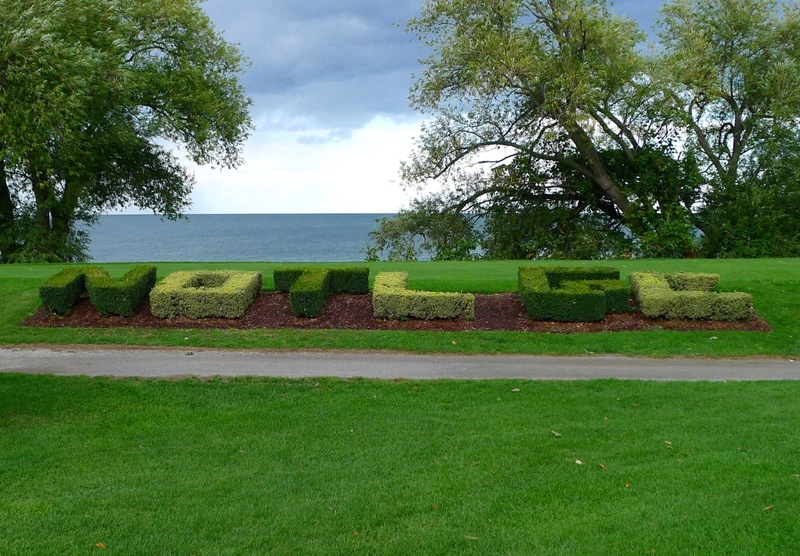 The course, located in the Niagara historic area, was established in 1875 and is the oldest surviving golf course in North America. 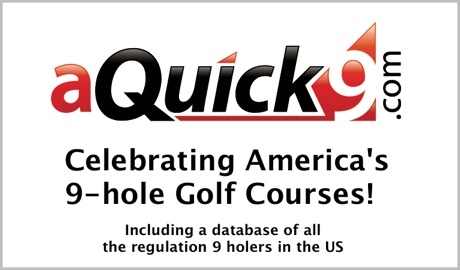 It is also ranked 9th best 9-hole course in the world outside the United States. 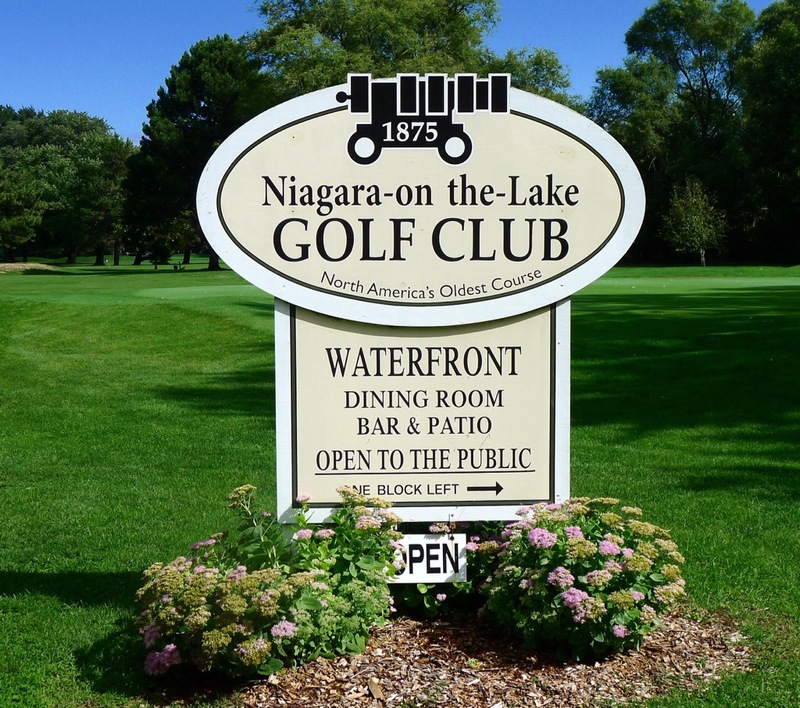 It is Lake Ontario way to the right on Hole #1 and if your tee shot does somehow find the water, it’s time to stop, walk back a few steps to the right, open a local brew, and enjoy the rest of the day from the patio. There are trees on both sides of this straight 320 yard par 4, which should prevent your ball from finding Lake Ontario. If you find yourself favoring the left side of the fairway (away from the water), there are two bunkers to the left/front of the green. Better sand than water! 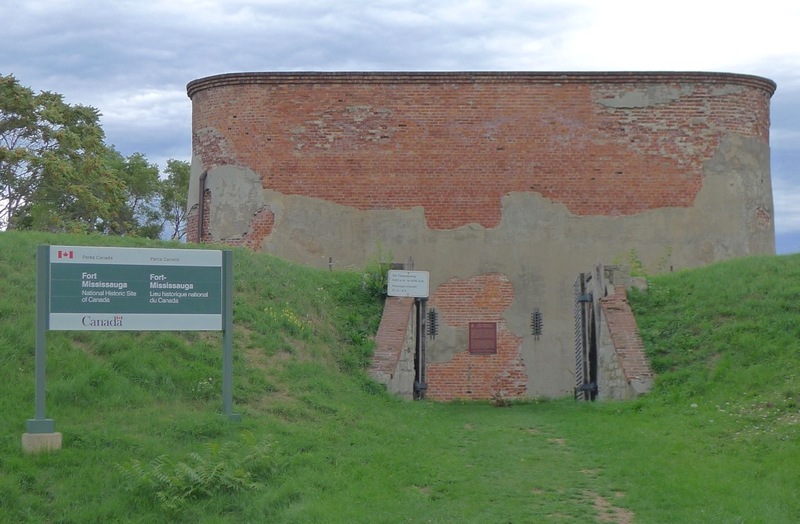 Also in view as you trek down the fairway is the historic Fort Mississauga. More about this when we arrive at the eighth hole. Hole #2 is a par 4 with a dogleg left; tree trouble right; and a bunker to the left of the green. My powerful drive went through the fairway, so I found that tree trouble – carefully choose your club. My wayward approach went left – yes, found the bunker. Let’s move on to the third hole and see if I can par this hole. All you golfers who sometimes favor that dreaded hook need to be patient when teeing off. There is a busy street to the left, so timing your shot is critical. For the shorter hitter (me), the fairway bunkers on the right may come into play and if you miss those, four more await you at the green. My photographer was distracted at this hole due to the approach of a mysterious black squirrel. It was her focus for the entire hole but somehow we came away with a par. Two hundred years ago the Battle of Fort George was contested at the sight of Hole #4. In present day the green is still defended (by three bunkers), but I was able to attack the green and the hole surrendered to my par. The monument behind the green helped to educate me about American/Canadian history as we again traveled back in time. The tee box at Hole #5 (pictured above) is adjacent to Lake Ontario but the fairway starts to work inland. If your normal shot is a fade, this is a perfect hole for you. If it is a low draw – good luck! The approach to the green is best from the left side but only an excellent short game will help on the aberrant-shaped putting surface that is surrounded by five bunkers. Hole #6 – Par 4, 320 yards. Lake Ontario as a picturesque backdrop. My ball awaiting the birdie putt! 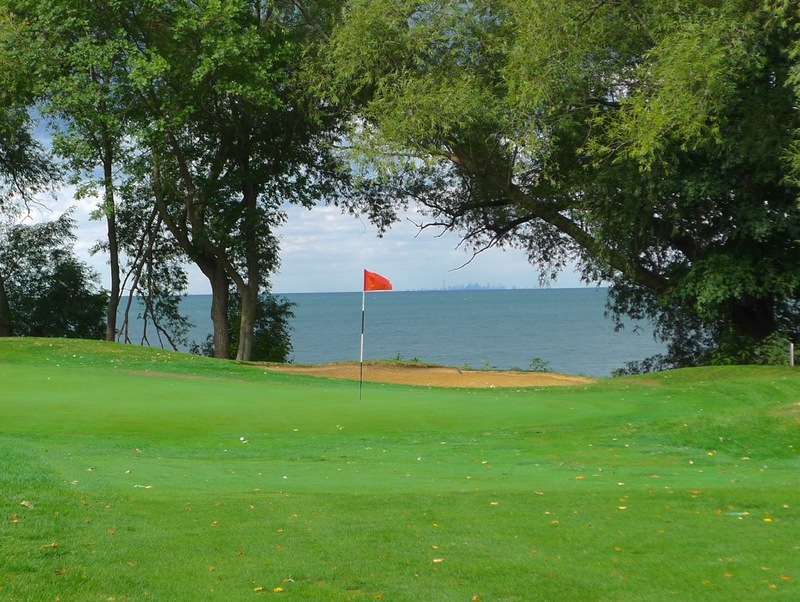 Hole #6 is a straight par 4 of 320 yards with Lake Ontario as a backdrop. Four bunkers surround this green and the lake will consume your ball if your shot is long. Hole #7 is another 320 yard par 4 but this time with a dogleg to the left. From the white tees your drive needs to travel about 220 yards to give you a clear view of the green. Playing this course for the first time, I totally misplayed it. I misjudged where the green was located (it sits next to the lake). 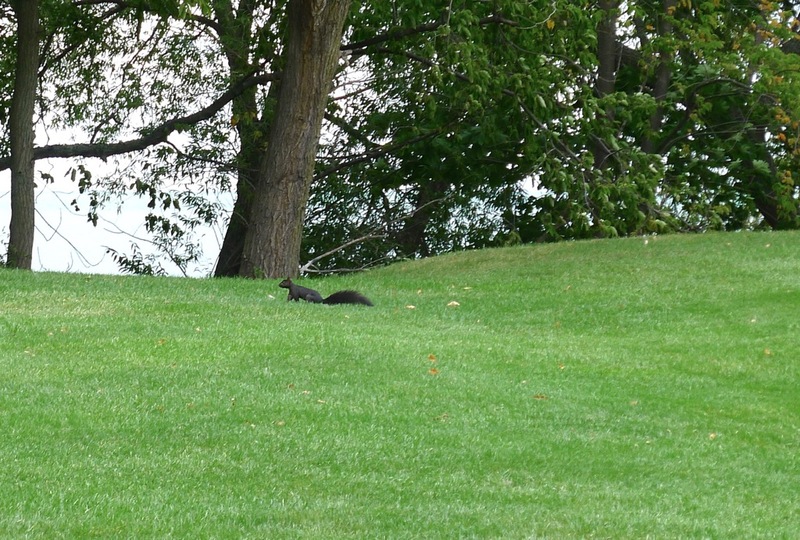 My photographer/caddie/wife was of no help because she was off snapping pictures of the mysterious black squirrel. More history surrounds Hole #8. 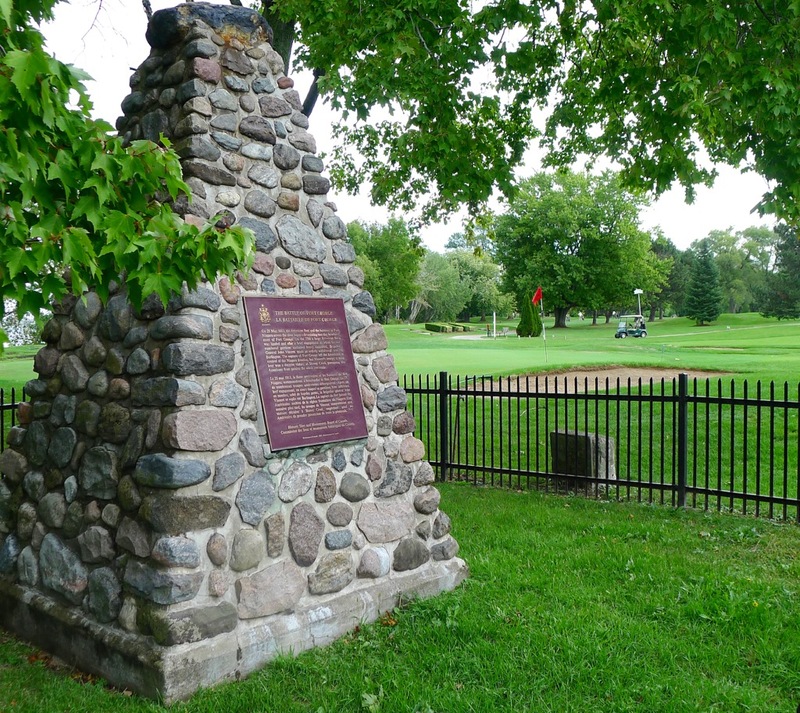 Next to the tee box is the home of Fort Mississauga which is a National Historic Site of Canada. The remnants of the fort can also be seen at the end of the first fairway. At the end of the eighth hole you will find the green (duh!) which is in its original state from 1875. The 9th hole is a finishing par 3 with bunkers and trees to the right which should not come into play – but what do I know? The green at Hole #8. Ace: History abounds at this fun 9-hole track. Being a national historic site does come with its share of issues. One being the course is open to everyone wanting to visit the historic grounds and golfers need to be aware of other crisscrossing the fairways and greens. Case in point – Billy, the head professional, shared this story with me. 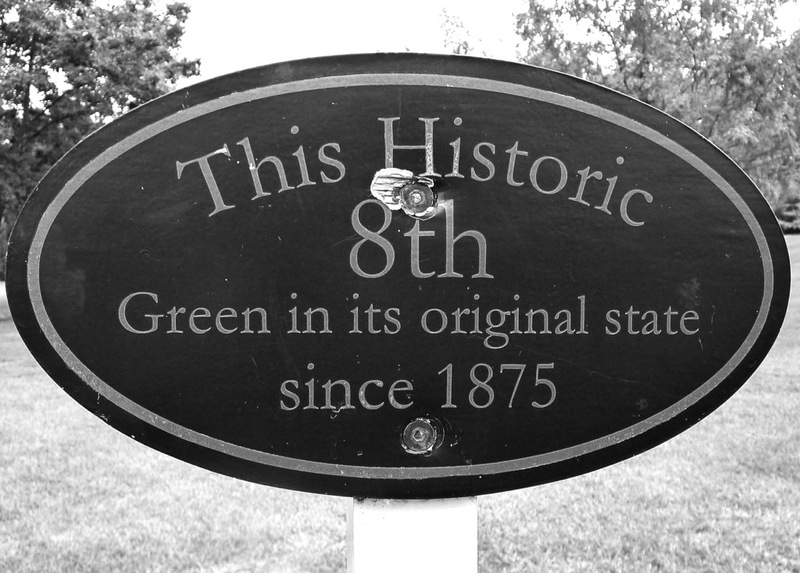 One day a group of golfers encountered a busload of tourists enjoying a picnic lunch on the historic 8th green. Just another day in the life of a head professional! I highly recommend this 9-hole track. Golfers, tourists visiting town, and even photographers of black squirrels will enjoy this historic site. The time travel continues as you walk around the town of Niagara-on-the-Lake. Enjoy the self-guided walking tour which includes Fort George (War of 1812) and many other historical buildings. Take a hike or bike ride along the Niagara River; sip, savour, and dine…enjoy the wine with Niagara Wine Tour Guides (at the border crossing we were given a disbelieving look when we said we had not purchased any wine); enjoy a cruise on the Canadian side of Niagara Falls; or just hang out on the patio of NOTL GC sampling the local brews and savoring lunch while watching the day pass on the shore of Lake Ontario.